The Saab 9-4X BioPower Concept, revealed today at the North American International Auto Show in Detroit, confirms Saab’s plans to enter the growing Crossover segment with a dynamic, driver-focused vehicle inspired by Scandinavian values in design and respect for the environment. 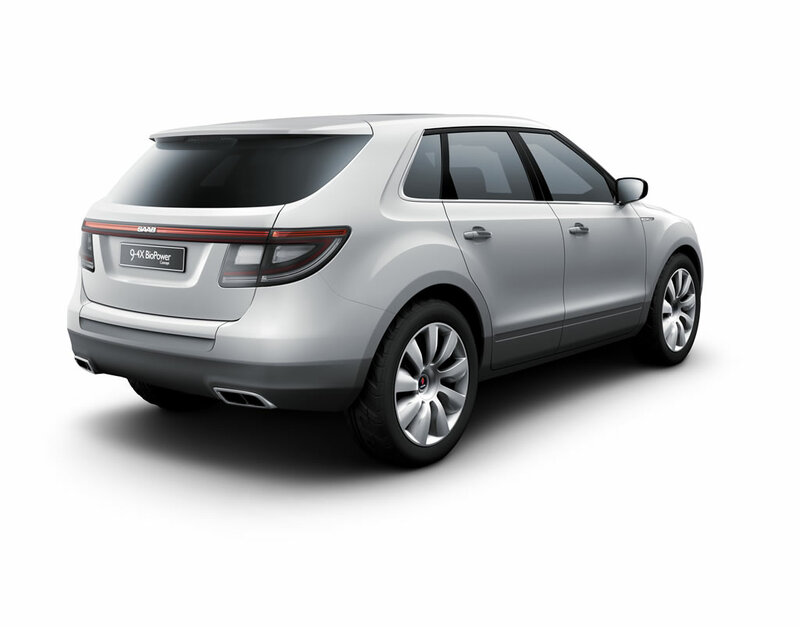 The design of the Saab 9-4X BioPower Concept reflects a Scandinavian principle of simplicity of form, with clean and uncluttered lines, free of any cladding, mouldings or roof bars, and defining ‘ice-block’ surface and lighting themes. 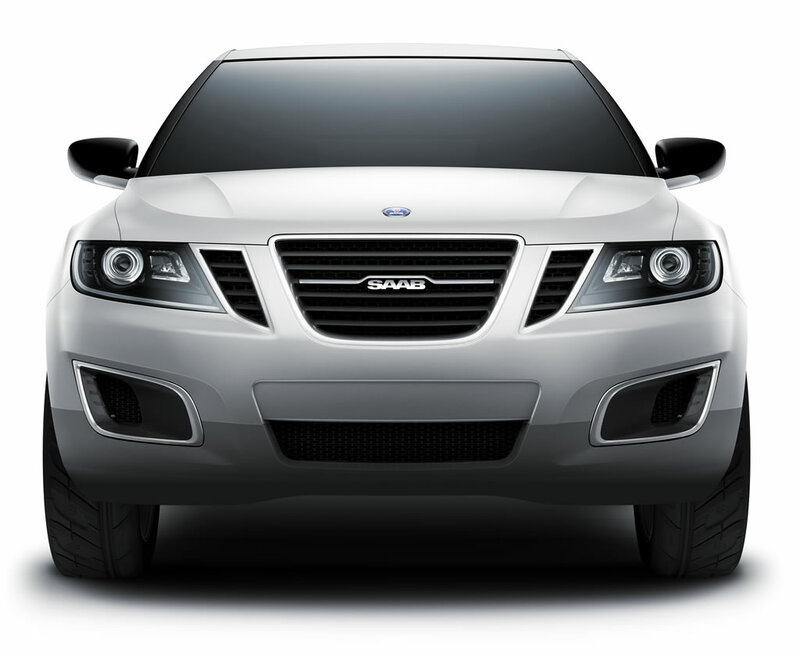 The progressive frontal styling and interior design elements also draw inspiration from Saab’s widely-acclaimed Aero X concept. Innovative load-carrying solutions include a unique ski equipment stowage system, developed in co-operation with mountain sports specialists Salomon. Optimized for bioethanol (E85) fuel, the four-cylinder, 2.0-liter BioPower turbo engine demonstrates Saab’s commitment to rightsizing by delivering an exceptional level of power efficiency – 300 hp and strong torque of 400 Nm (295 ft.lbs.). Compared with gasoline, driving on E85 produces less CO2 emissions (see separate Powertrain release). Mated to the industry-leading Saab XWD (‘cross wheel drive’) system, this advanced powertrain promises to make driving to your destination as enjoyable as the adventure itself. 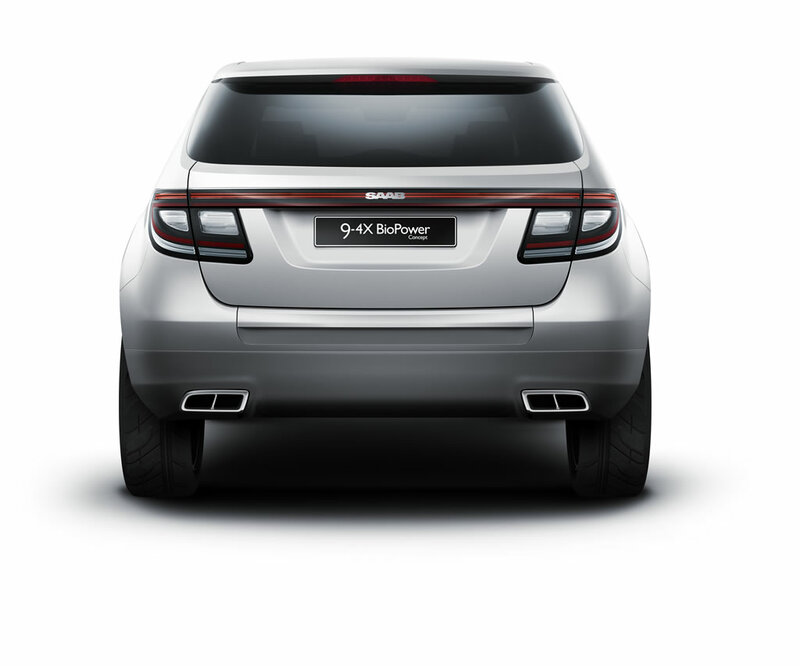 The Saab 9-4X BioPower Concept has been developed by a team under Anthony Lo, GME’s Director of Advanced Design, in co-operation with designers and engineers from the Saab Brand Center in Sweden. “We focused on incorporating design themes from the Aero X in a Crossover execution, adding functional, lifestyle features to support the activities of customers using this type of vehicle,” he said. The driver-focused cockpit in the sporty, four-seater cabin features an Aero X-inspired ‘clear zone’, with a flush-mounted starter button and ‘infotainment’ controls, that sweeps up from the central console to the main display screen. Signature green lighting is used for all instrument illumination, while other subtle references to Saab’s aviation heritage include the ‘altimeter’ speed read-out scale and aircraft-shaped trim on the steering wheel. 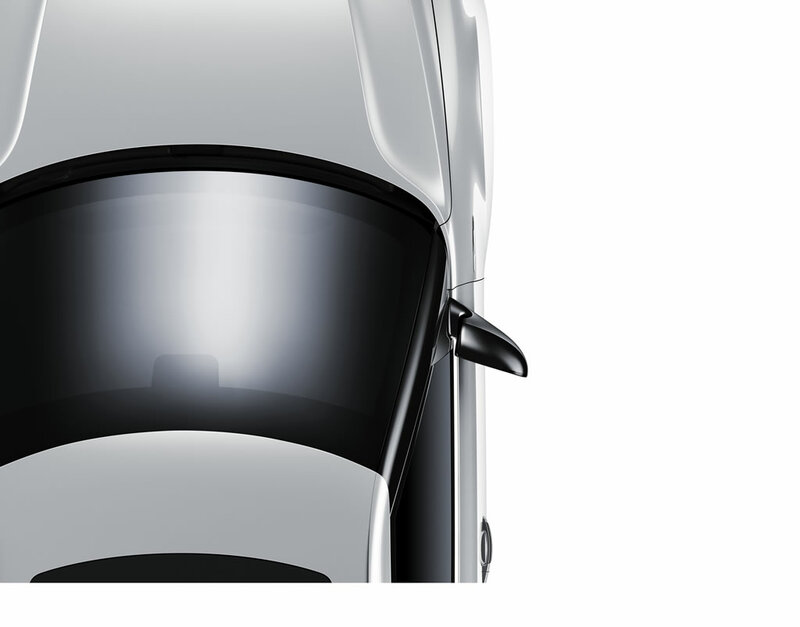 The panorama glass roof is in harmony with a car designed to deliver the enjoyment of outdoor pursuits. 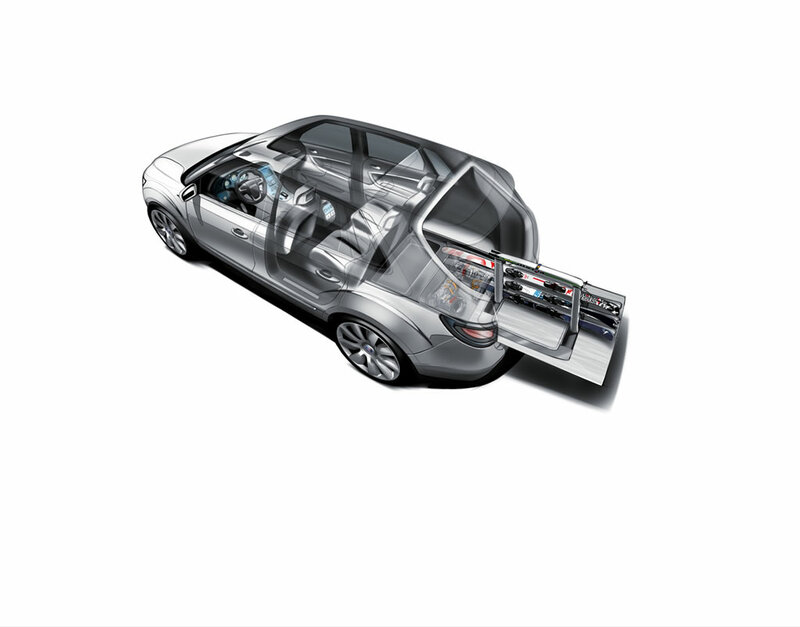 Saab designers worked with top Saab Salomon ‘Big Mountain’ skiers to devise an innovative storage system for stowing skis and equipment inside the car (see separate Saab Salomon release). The rear cargo deck features a sliding floor with a fold-out aluminum ski-holder, through which up to three pairs of skis and poles can be slotted. Boots are stowed in an underfloor, heated compartment and, for maximum practicality, the entire rear cargo area is covered in a waterproof and scratch resistant rubber ‘skin’. The compact, aluminum, four cylinder BioPower engine combines the benefits of turbocharging, direct injection and variable valve timing for the first time with high-octane E85 fuel (85% bioethanol/ 15% gasoline). 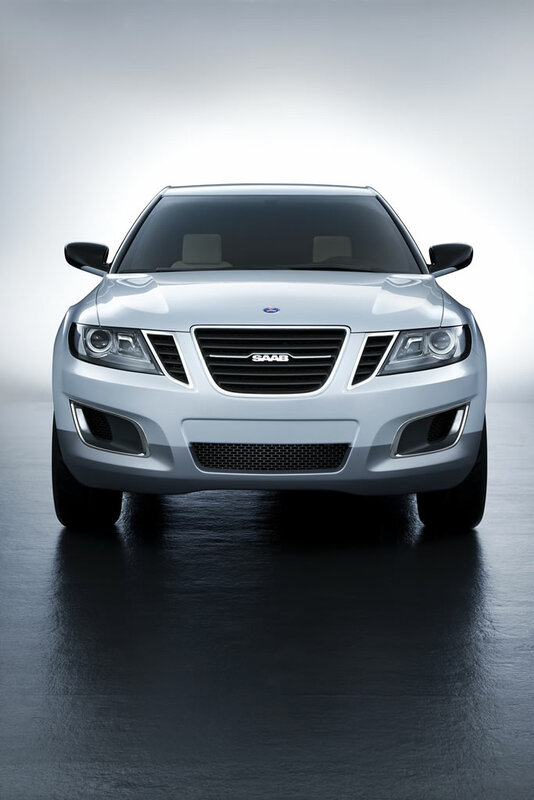 Driver involvement is taken to a new level by the innovative all-wheel-drive system, Saab XWD. Active management splits torque delivery between both the axles and the rear wheels, via an electronically-controlled rear limited-slip differential (eLSD). 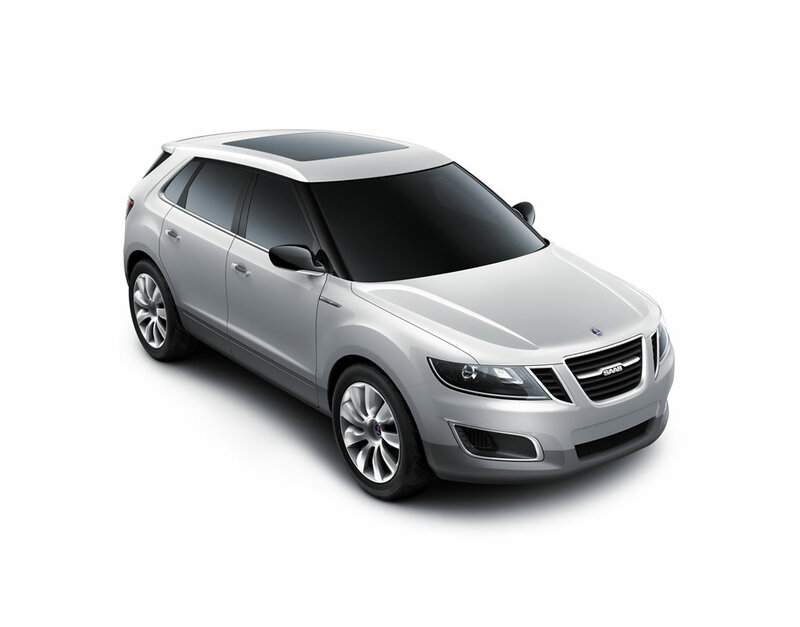 Overall, Saab 9-4X BioPower Concept is a vivid demonstration of Saab’s commitment to customers with outdoor leisure interests who seek a sporty driving experience that is more in harmony with nature. 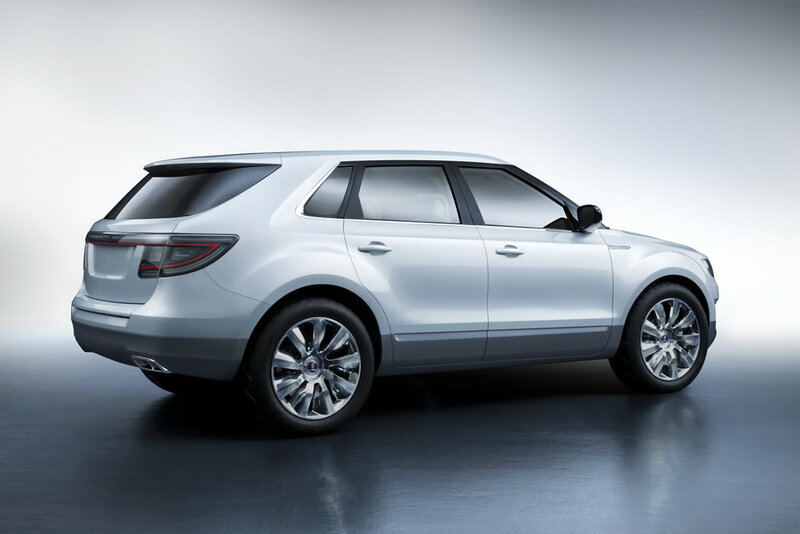 The Saab 9-4X BioPower Concept demonstrates the potential of ‘rightsizing’ by showcasing a 2.0-liter, four-cylinder turbo engine optimized for bioethanol (E85) fuel to give 300 hp and 400 Nm (295 ft.lbs.) of torque – an exceptional level of power efficiency. 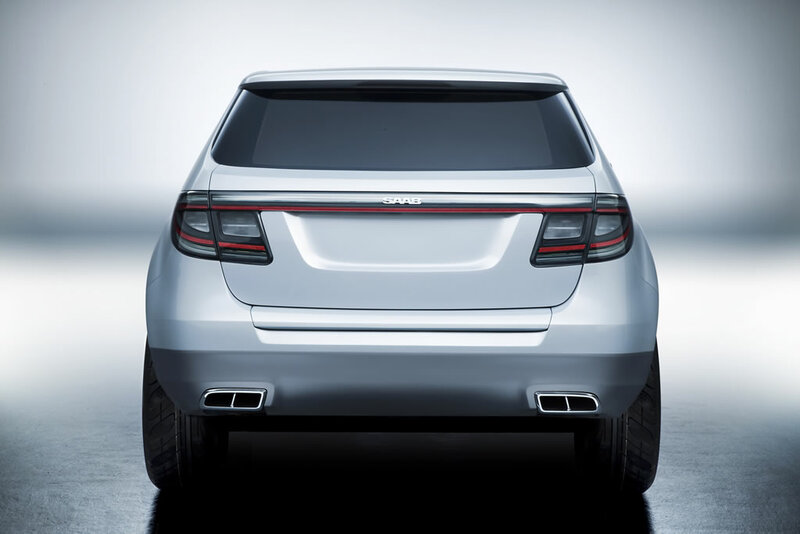 Leveraging an unrivalled 30 years experience in turbo technology, Saab leads the automotive industry in exploiting the performance and environmental benefits of bioethanol fuel. Its current BioPower models are the top-selling flex-fuel vehicles in Europe, especially appreciated for offering both more power and producing less CO2 emissions when operating on E85 fuel compared to when fueled by only gasoline. In the future, E85 using bioethanol produced from cellulose has the potential to significantly reduce the CO2 emissions on a source-to-wheel basis compared to only using gasoline. 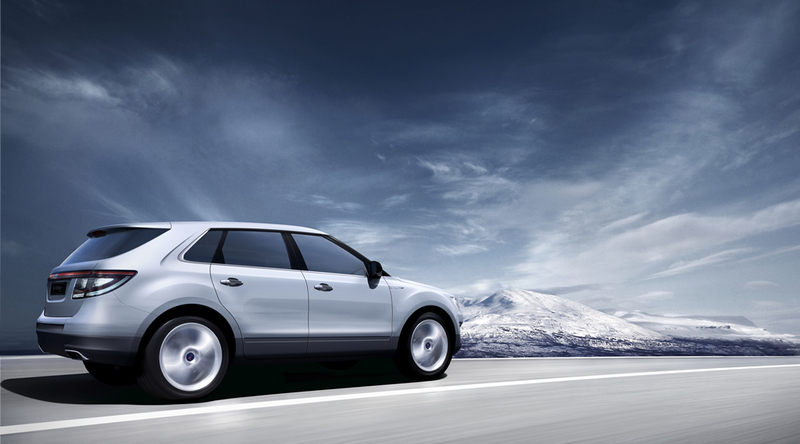 Now, with the announcement of the Saab 9-4X BioPower Concept, Saab takes the next step in the development of responsible performance by partnering, for the first time, its BioPower technology with all-wheel-drive (Saab XWD). The lightweight, aluminum, four cylinder engine is optimized for E85 fuel (85% bioethanol, 15% gasoline) to give an exceptionally high specific power output of 150 hp per liter cylinder volume, together with an equally impressive 400 Nm (295 ft.lbs.) of torque (245 hp and 353 Nm (260 ft.lbs.) – on gasoline). E85 has a higher octane rating than gasoline, making it more resistant to harmful pre-detonation, or ‘knocking’, when the fuel/air mixture is compressed in the cylinder. To fully exploit this advantage, the engine has a raised compression ratio, 10.5:1, instead of 9.2:1 for a gasoline-only application. 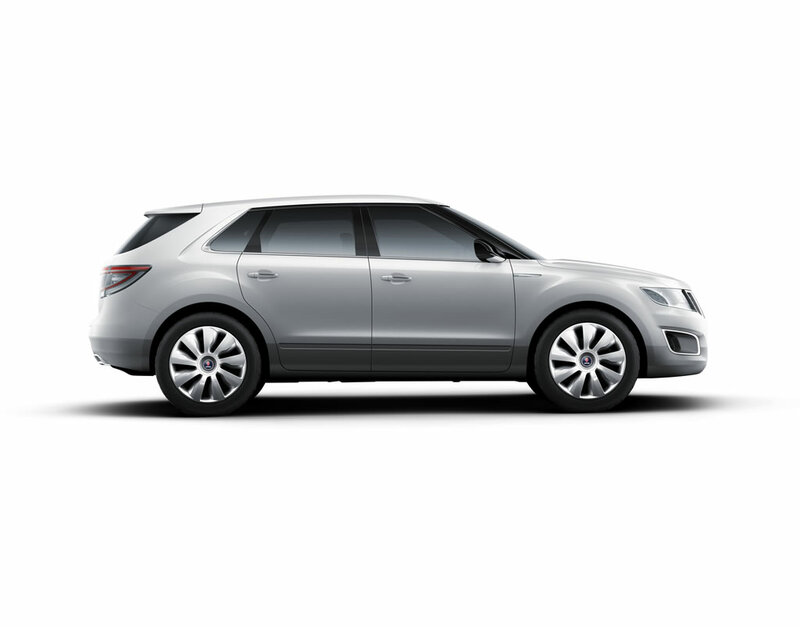 It retains its flex-fuel capability because the Saab engine management system adjusts the ignition timing and turbo boost pressure to ensure there is no pre-detonation with gasoline. Engine efficiency is also improved by the use of direct injection (DI) and continuously variable valve timing (VVT) on both the inlet and exhaust sides. DI delivers fuel directly into the combustion chamber, providing a more efficient combustion of the fuel/air mixture to give more power and enhanced engine efficiency. VVT enhances turbo response at low engine speeds, as well as contributing to an even wider spread of torque. On E85 fuel, that impressive 400 Nm (295 ft.lbs.) of torque is generated all the way from 2,600 to 5,100 rpm, with 85 % available from just 2,000 rpm. Whilst these headline figures may be matched by a much larger, naturally-aspirated engine, that characteristic ‘tidal wave’ of low-end torque is unique to the turbocharged power delivery. The cutting edge all-wheel-drive system, Saab XWD, soon to be launched in the 9-3, is designed to optimize vehicle responsiveness and stability. It features active management that not only splits torque delivery between the axles, but also between the rear wheels via an electronically-controlled rear limited-slip differential (eLSD). This can transfer up to 40% of torque between the rear drive shafts, to whichever wheel has more grip. Such active drive torque management improves both cornering and stability by making the rear of the car more closely follow the direction of the front wheels. Driving enjoyment can be further enhanced by the selection of ‘Sport’ or ‘Comfort’ modes as an alternative to the vehicle’s standard chassis settings. ‘Sport’ mode stiffens the action of the dampers for greater body and wheel control; sets the gearshift points of the automatic transmission at higher engine speeds for sportier driving; sends more torque to the rear axle for greater agility; increases the sensitivity of the electronic throttle and, at higher speeds, reduces the power assistance to the steering, thereby increasing steering feel for the driver. 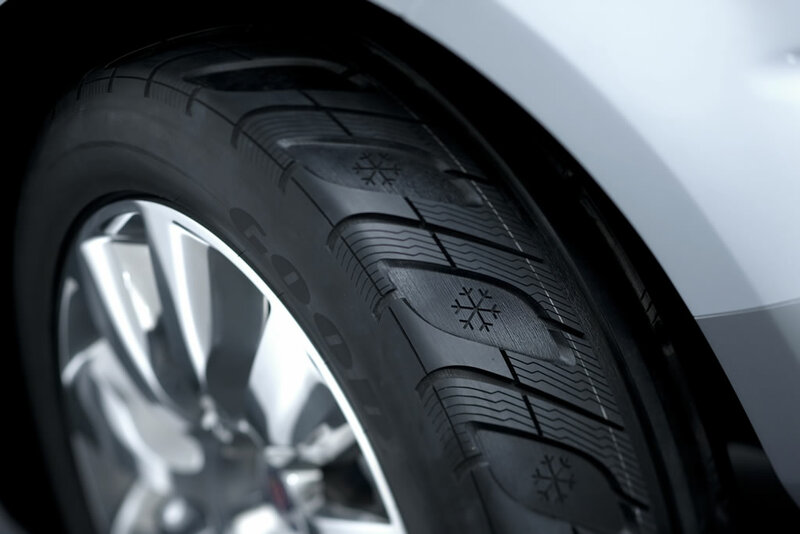 Responsible performance also means including advanced safety features. 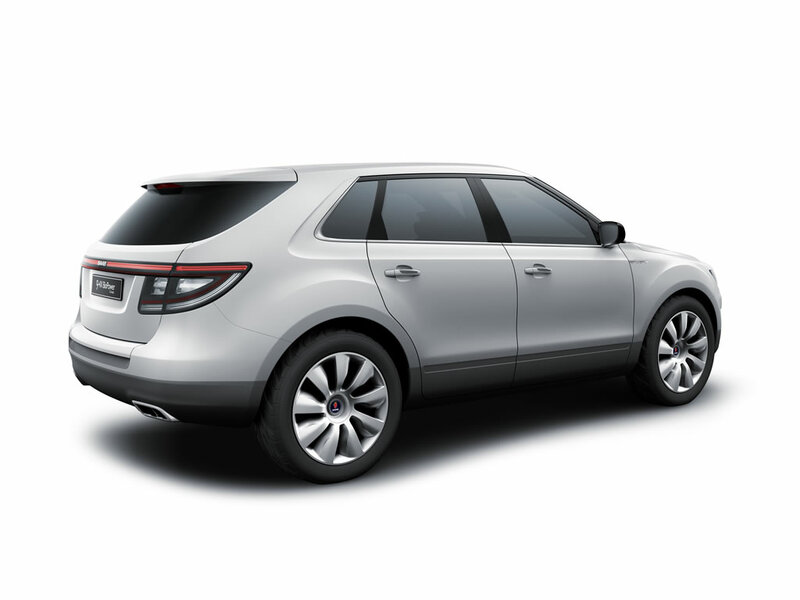 In addition to a full arsenal of electronic stability and braking systems, the Saab 9-4X BioPower Concept features roll-over sensing for deployment of the curtain airbags. The front seats are also fitted with new, Generation III Saab Active Head Restraints (SAHR), including a revised head restraint movement to help reduce the risk of severe neck injury. 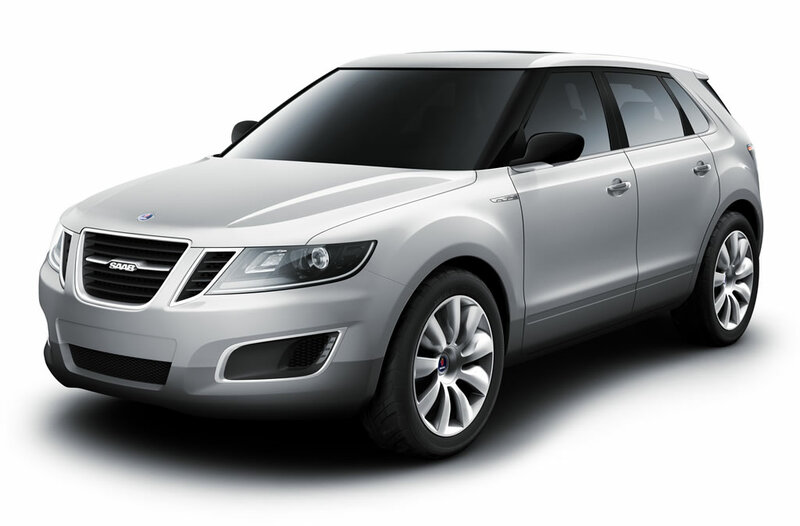 The Saab 9-4X BioPower Concept extends a long-standing partnership between Saab and Salomon. 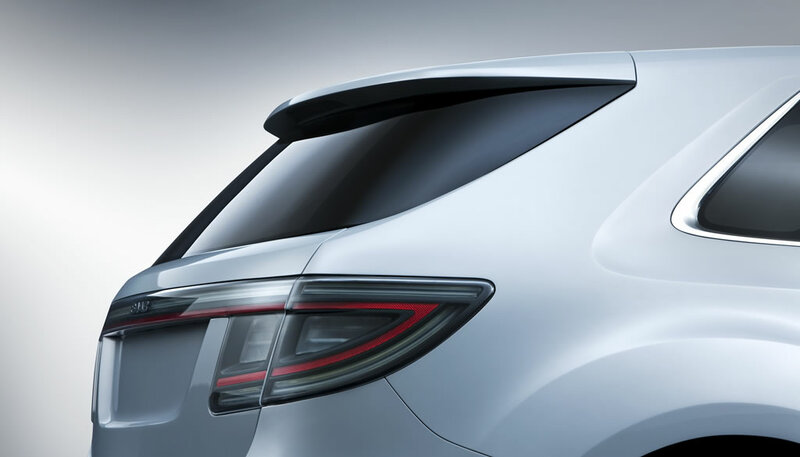 Both brands share a passion for progressive design and technical innovation, so it was a natural next step to take the relationship into the field of automotive design. Leading Saab Salomon Big Mountain skiers, Kaj Zachrisson from Sweden and Frenchman Enak Gavaggio, took time out to meet the designers, telling them all about their activities and what sort of practical features they would most like to see in a car. Dyson’s team devised a neat, easy-to-use means of stowing up to three pairs of skis and poles inside the car. For easy loading, the 9-4X BioPower Concept has a sliding rear floor, from which a sturdy, U-shaped aluminum frame can be folded out. Each leg of the frame carries a pair of clips, through which the skis and poles slot. They thread through the cabin, between the two rear seats, holding the skis firmly in place while also allowing passengers to sit in the rear. Talking to the skiers, Dyson and the team realized that safe stowage for helmets would be another useful feature, so two expanding pouches, each designed to carry up to two helmets, are fixed either side of the load area. And a separate compartment under the sliding floor, large enough to accommodate up to three pairs of ski boots, was another feature appreciated by the skiers. The compartment, with a shelf for smaller items, is also heated via the car’s air conditioning system, which helps the kit to dry out and prevents wet boots becoming hard and stiff. After a challenging day off-piste, a skier’s kit can become wet and grimy, so the entire rear cargo area, including the underfloor compartment and folding seat-backs, is covered in a waterproof, rubber ‘skin’. A vent in the bottom of the underfloor compartment allows water the drain away and the rubber skin is easy to keep clean. The Saab/Salmon partnership in mountain sports includes joint sponsorship of teams and events in multisport, mountain biking and free skiing. 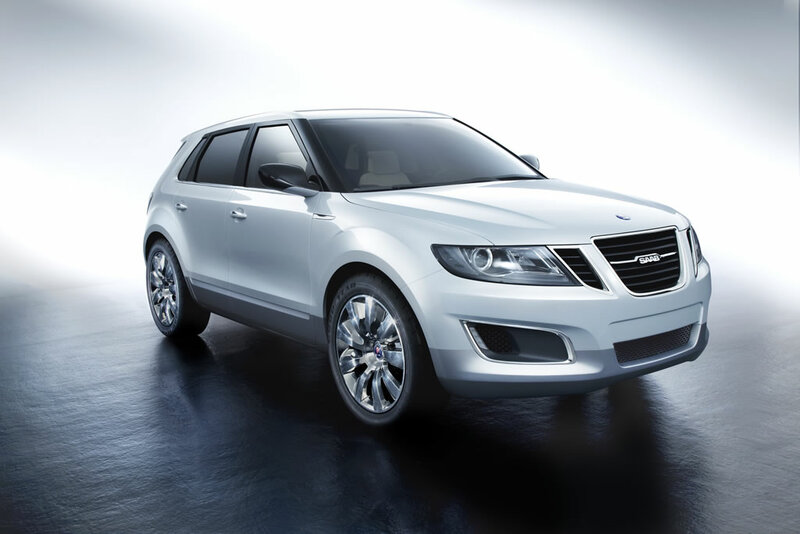 “Both brands share common values and customers who have an independent mind-set,” said Knut Simonsson, Saab’s Executive Director, Global Brand and Sales Operations. 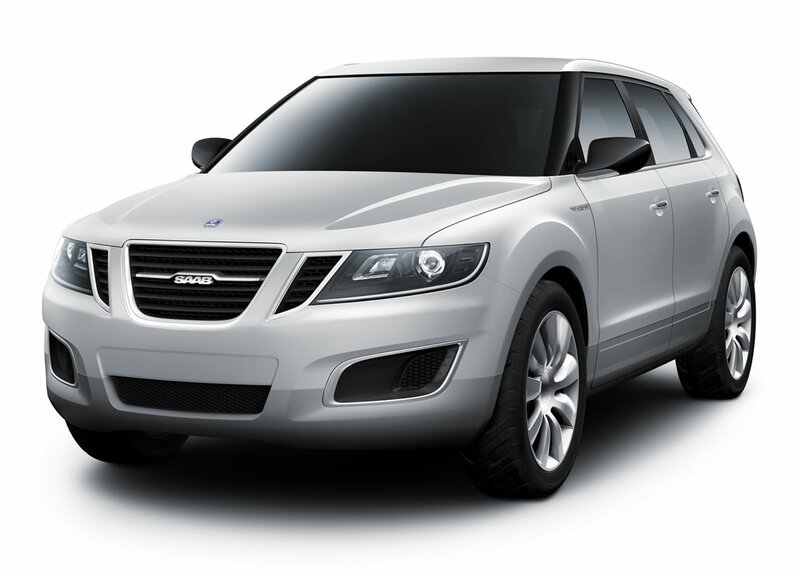 Saab’s entry into the growing Crossover segment is a vital next step in an accelerating new product offensive that will see the Swedish premium brand represented in all major segments of the market, says Jan Åke Jonsson, Saab Automobile’s Managing Director. 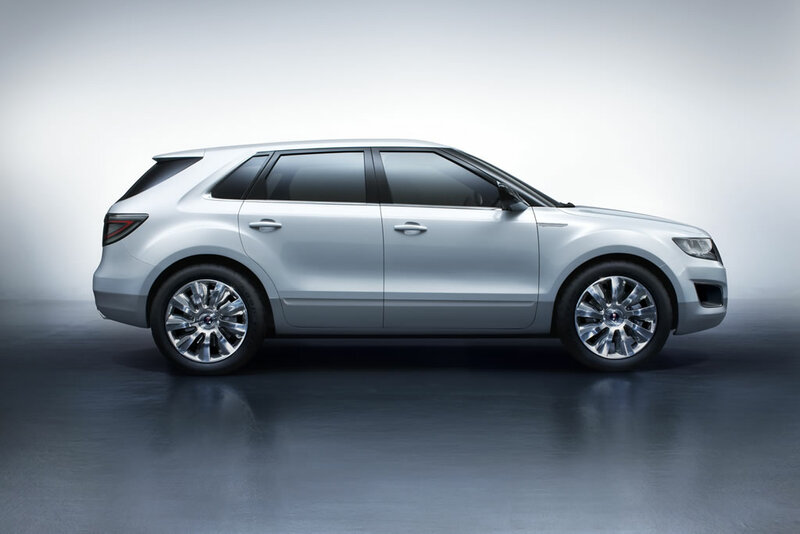 Speaking at the launch of the innovative Saab 9-4X BioPower Concept at the North American International Auto Show in Detroit, he said: “This concept is more than a statement of our intent to enter the Crossover segment. It also represents our commitment to take the Saab brand to new customer groups, offering a premium alternative choice they have never had before. Jonsson points out that in the last five years alone, Saab has launched four new models and shown four concept cars, including the award-winning Aero X as a signpost for future Saab design. 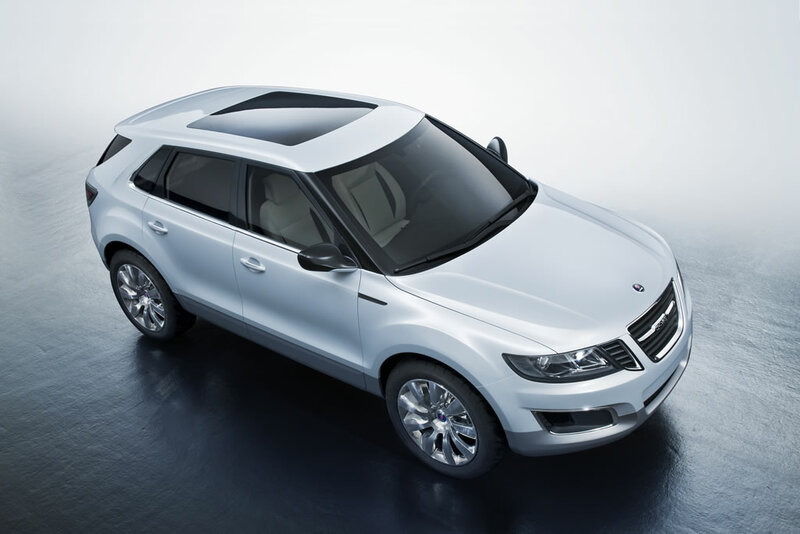 It has also introduced industry-leading BioPower flex-fuel engines with E85 and advanced all-wheel-drive technology (Saab XWD). “While we have come a long way in the last five years, I can say that the next five years will see the rate of new product development accelerate,” he adds. 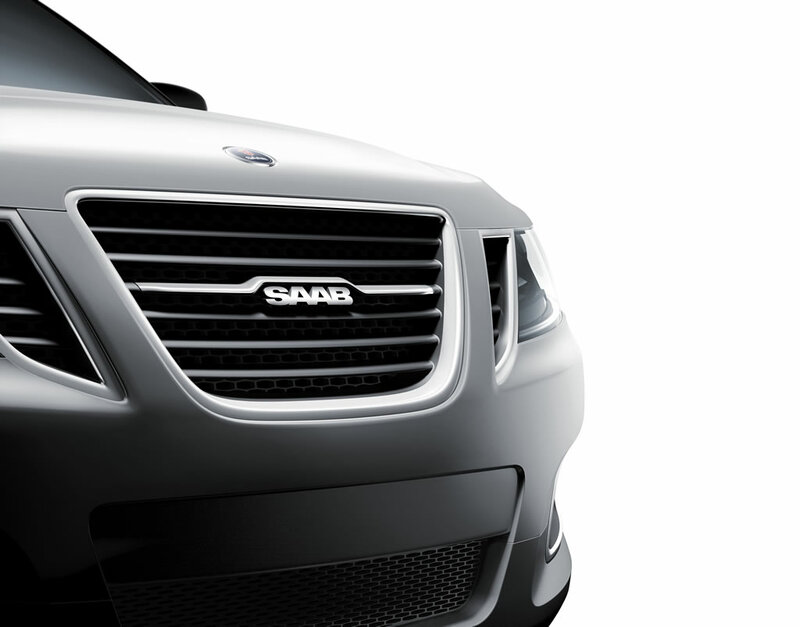 “Our target is to have the Saab brand represented in all major segments of the market. Jonsson points out that each new Saab product, like its upcoming Crossover vehicle, will draw inspiration from the brand’s strong Scandinavian roots in the areas of progressive design, driver focus and responsible performance with concern for the environment. 1998cc. Four cylinders Bore/stroke: 86.0/86.0 mm. Aluminum cylinder head and block. DOHC, chain-driven. Four valves per cylinder. Twin counter-rotating balancer shafts. Forged steel crankshaft, steel connecting rods. Aluminum pistons, oil spray cooled. Direct injection. VVT, inlet and exhaust Sodium-filled exhaust valves. Saab engine management system. Twin-scroll turbocharger, intercooled. Max power (E85): 300 hp (221kW) @ 5400 rpm. Max power (gasoline): 245 hp (180 kW) @ 5300 rpm. 6-speed automatic transmission, steering wheel controls. Front: McPherson struts. Aluminum control arm and knuckle. Anti-roll bar. Rear: Multi-link. Aluminum H-arm and knuckle. Anti-roll bar. Rack and pinion, hydraulic power assistance. Hydraulic, dual circuit, vacuum booster.